1/200 Limited Edition - Deluxe Premier Issue, Hardbound in Grey Cloth. Includes Original Hand-printed Wood-Engraving by Francesco Parisi, Signed & Numbered #184/200. An International Journal of Esoteric Studies. Limited Deluxe Edition, one of 200 numbered copies hardbound in gey cloth, each of which contain an original hand-printed, signed & numbered wood-engraving by Francesco Parisi. This is copy is the last I have available - #184/200. Large 4to, 300mm x 240mm, 128 pages, plus tipped in wood-engraving. This is a superb deluxe hardbound edition of the inaugural issue of this publication. 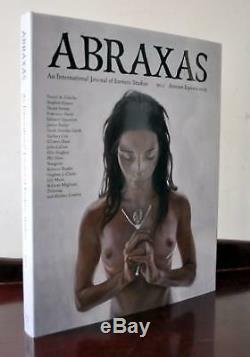 It is packed with amazing images, profound essays, illuminative interviews, poetry and more. 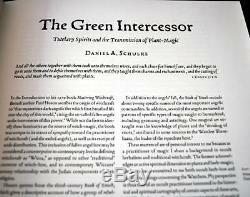 The highlights include the essay by Daniel A. Schulke The Green Intercessor: Tutelary Spirits and the Transmission of Plant-Magic, which also includes two full page artworks by Schulke; the interview with Francesco Parisi, which includes many fine examples of his artwork, both in colour and black & white. 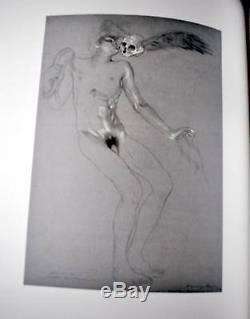 Aleister Crowley's evocative poem Babalon finally finds itself in print more than sixty years after it was written. 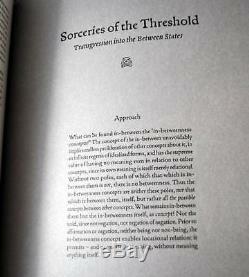 And then, there is the intriguing grey section (printed on heavy grey paper stock) entitled Sorceries of the Threshold: Transgression into the Between States written by. This journal certainly sets a new high benchmark, and with this deluxe edition, you also get the original hand-printed, signed & numbered wood-engraving by Francesco Parisi, which has been carefully tipped-in at the back. Francesco Parisi is one of Italys most respected and critically acclaimed wood-engravers. His symbolist work has been secured by some of the worlds most prestigious institutions, such as the British Museum Department of Prints and Drawings, as well as musicians such as COIL. In offering us a hand-printed edition of The Garden of Proserpine Francesco is therefore making a very generous gift in support of our inaugural issue. Literary contributions for this inaugural issue include. The Green Intercessor Tutelary Spirits and the Transmission of Plant-Magic. A Study of Flying Ointments and their Plants. 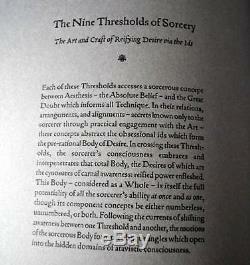 Sorceries of the Threshold Transgression into the Between States. The Uncertainty of Illumination Gnosis and Epistemology in Traditional Craft. An Interview with Francesco Parisi. The Third Eye The Fantastic World of Lobsang Rampa. 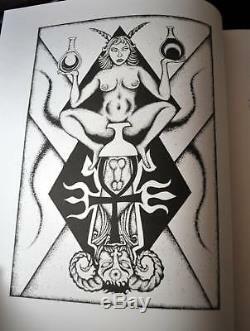 Transmutations of Good and Evil Alchemy, Witchcraft and the Graal in the Work of Arthur Machen. A Dream of Witchcraft Turned to Nightmare The Five Witches of Albrecht Durer. This is certain to become a very valuable and highly sought-after journal, and will make a important addition to any serious occult collection. The hand-printed, signed and numbered wood-engraving by Francesco Parisi only appeared in the deluxe copies, and is worth the price alone. Please check out my other items. As I have many other rare Fulgur titles, as well as rare volumes by Andrew Chumbley, Daniel Schulke, Aleister Crowley, Kenneth Grant, A. 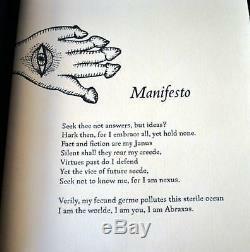 As well as many rare & beautiful Grimoires, currently listed, with more to come. Check out my other items. Be sure to add me to your favourites list. The item "ABRAXAS 1 Deluxe FULGUR Daniel Schulke Pharaon Occult Francesco Parisi Art Print" is in sale since Friday, April 02, 2010. This item is in the category "Books\Antiquarian & Collectible". The seller is "reix718" and is located in Belfield, NSW. This item can be shipped worldwide.